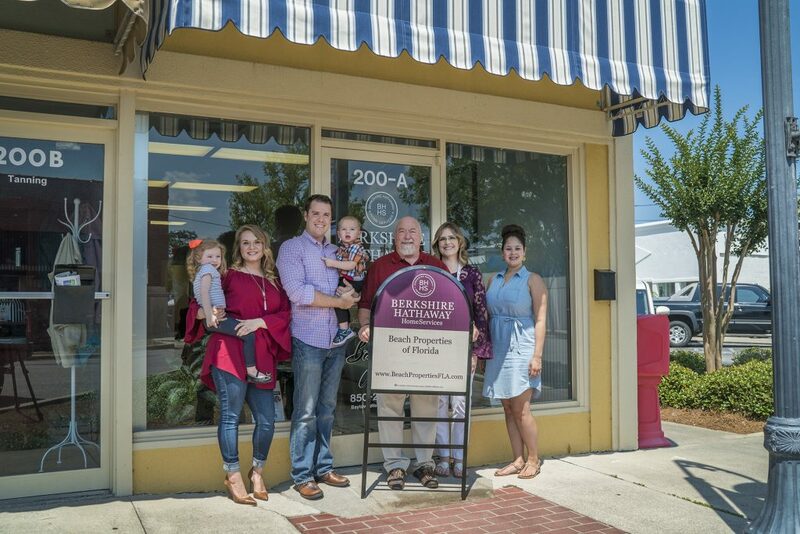 Berkshire Hathaway HomeServices Beach Properties of Florida continues to increase its reach across the Northwest Florida Gulf Coast with the establishment of a new office in Port St. Joe. Located at 200-A Reid Avenue, this is the agency’s second location serving customers in Franklin and Gulf Counties. Veteran real estate professionals Bill and Dianne Peevy along with their son, Matt, and daughter-in-law, Ashley, will work on-site at the Port St. Joe location. Longtime area residents, the Peevys have over 20 years of sales experience covering Franklin and Gulf Counties. Featured twice on HGTV’s hit shows “Beach Hunters” and “How Close Can I Beach,” Matt and Ashley deliver a unique blend of local market expertise and creative talent to their real estate practice. With a background in advertising and professional video production, they are setting a new standard in real estate services in their markets. The addition of this new office bridges the gap between the agency’s St. George Island and Panama City Beach locations giving prospective buyers and sellers expanded offerings in their property search across the Gulf Coast. Servicing the Port St. Joe, St. Joe Beach, Cape San Blas and Mexico Beach markets, the brokerage’s newest location is now open in historic downtown Port St. Joe, FL.